If you have any questions about this product by POLICE MAGNUM, contact us by completing and submitting the form below. If you are looking for a specif part number, please include it with your message. 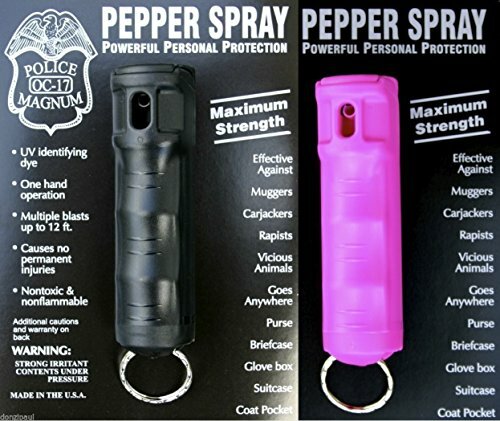 Lab Certified Streetwise 230,000 SHU FOAM Pepper Spray 3 oz. UV marking dye, Made in USA. Cannot ship to Massachusetts, New Jersey if over (3/4 oz), New York, Wisconsin, Michigan APO, FPO or Hawaii.